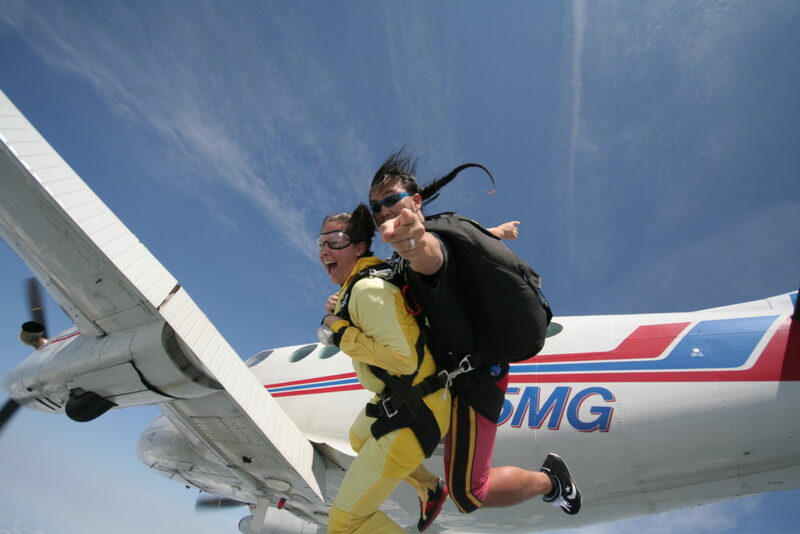 The entire process takes 2 to 4 hours from the time you arrive until you leave. 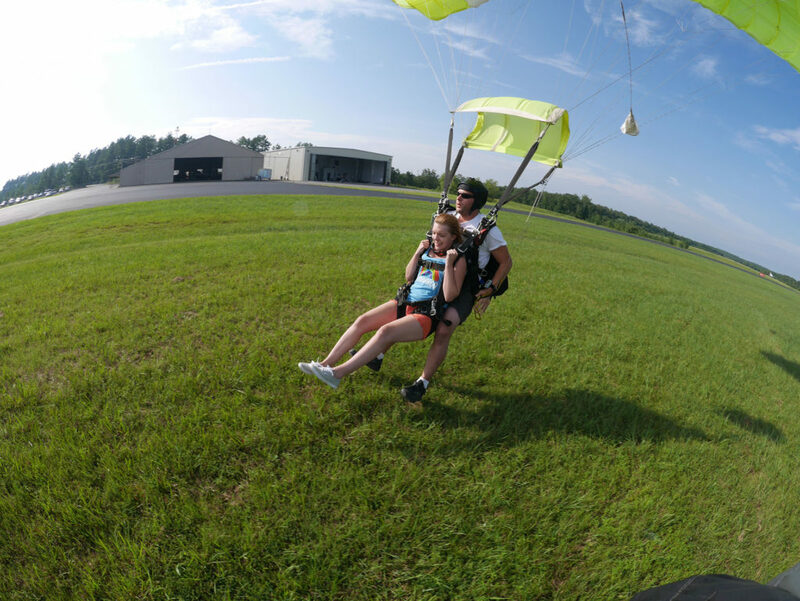 Tandem passengers must weigh 254 lbs or less. 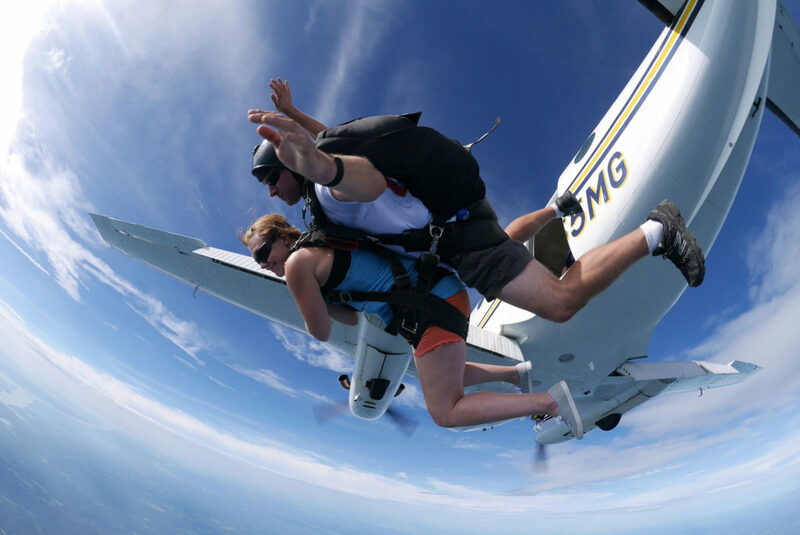 Additional restrictions may apply to passengers over 230 lbs. 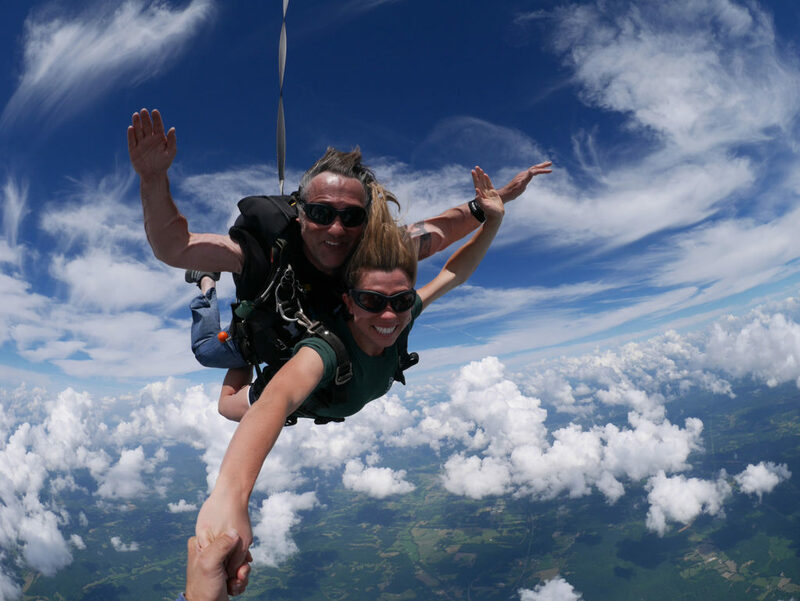 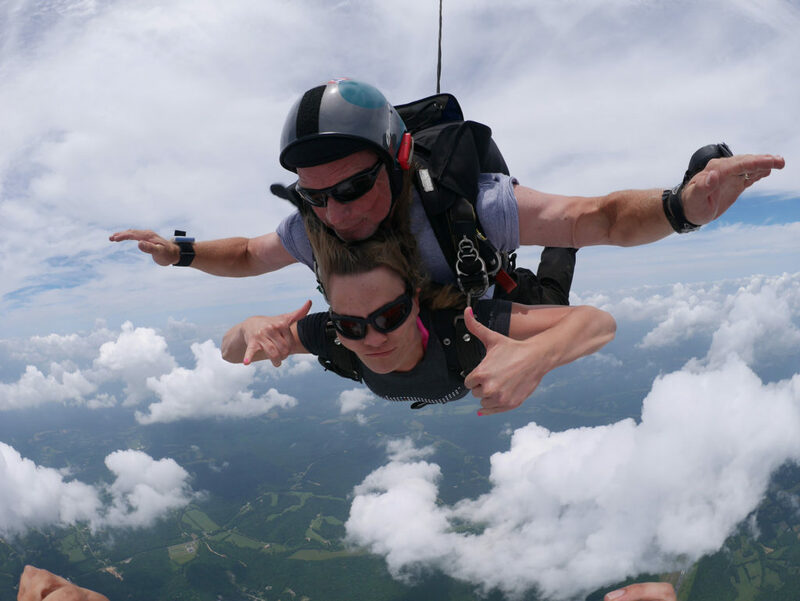 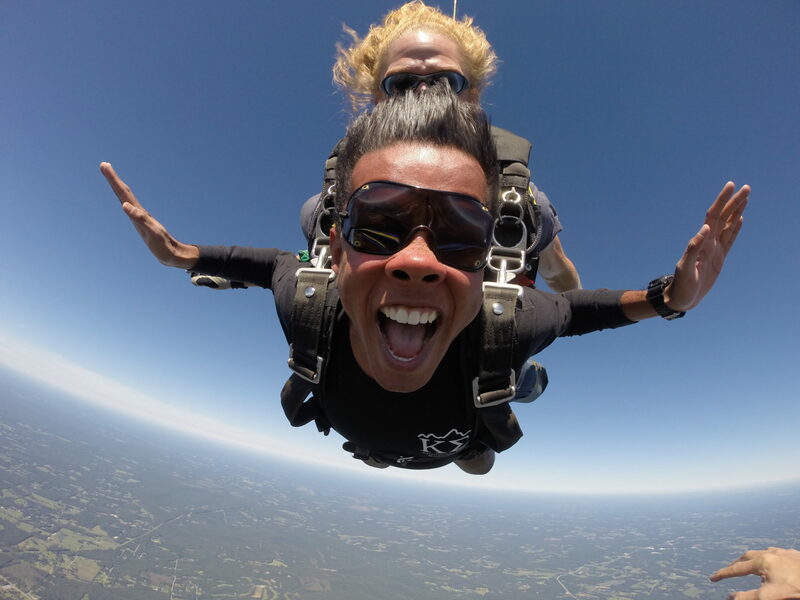 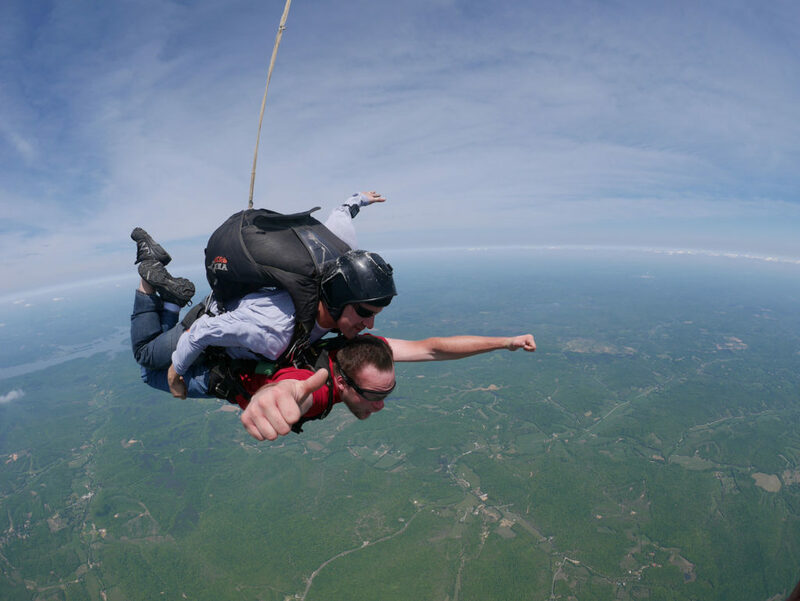 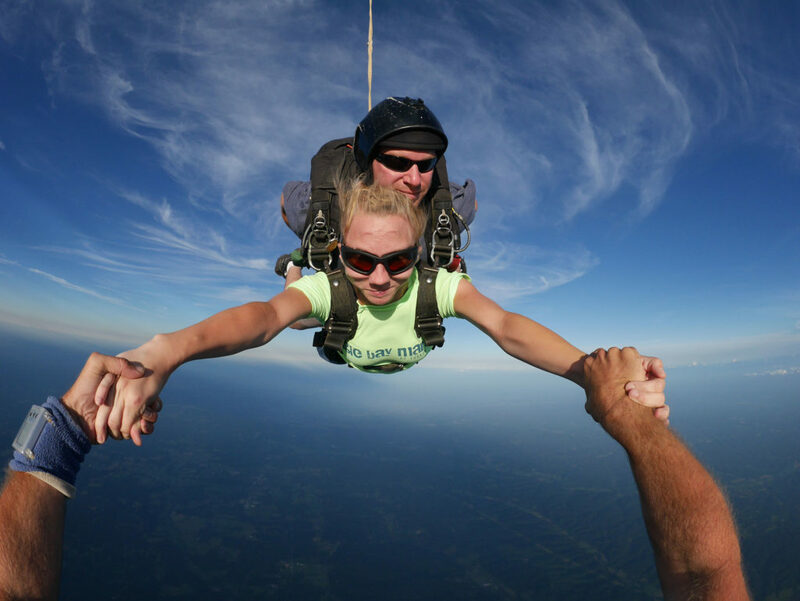 Tandem skydiving at Skydive Atlanta is as safe as technology can make it. 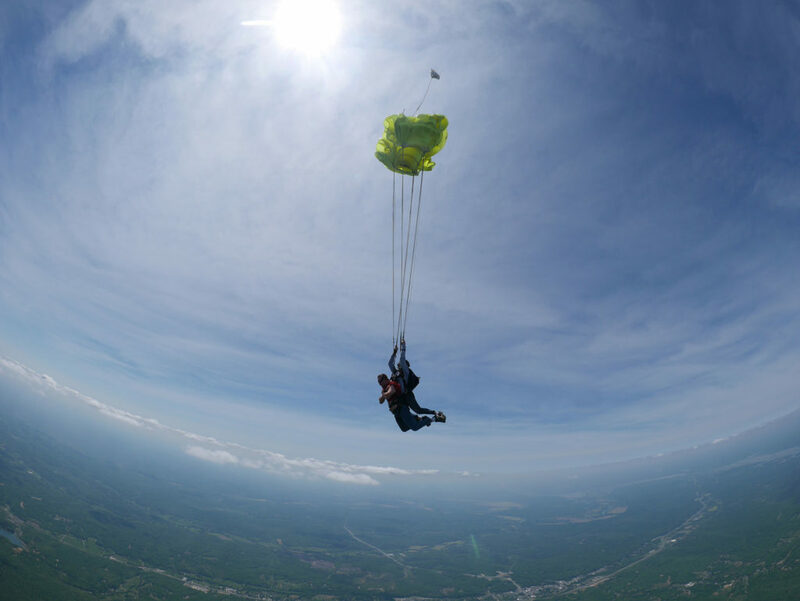 Each one of our UPT Sigma tandem parachute systems is the top-of-the-line in the industry. 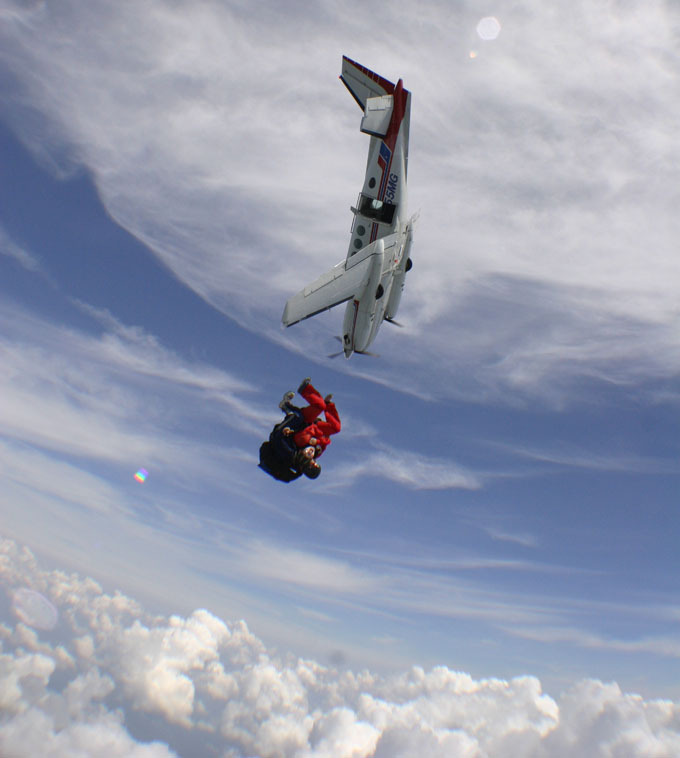 Each contains a main parachute, reserve parachute, and an onboard computerized Airtec CYPRES automatic activation device. 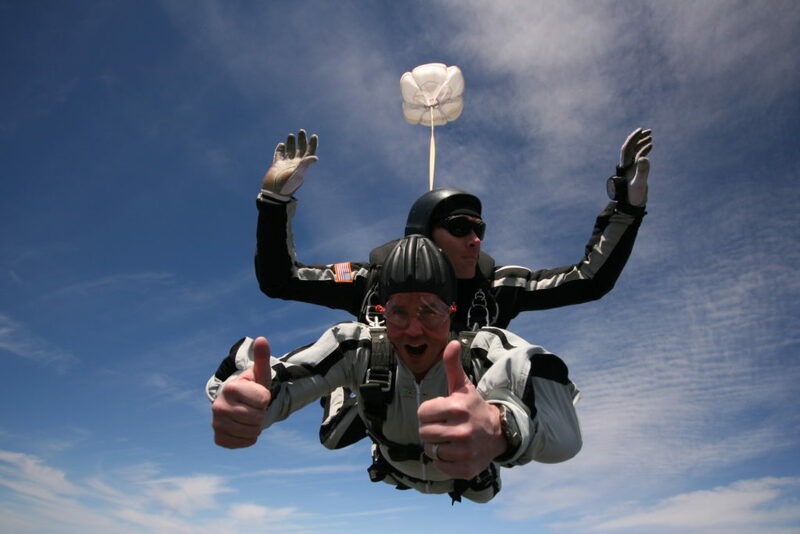 The reserve parachutes are all inspected and re-packed by our F.A.A. 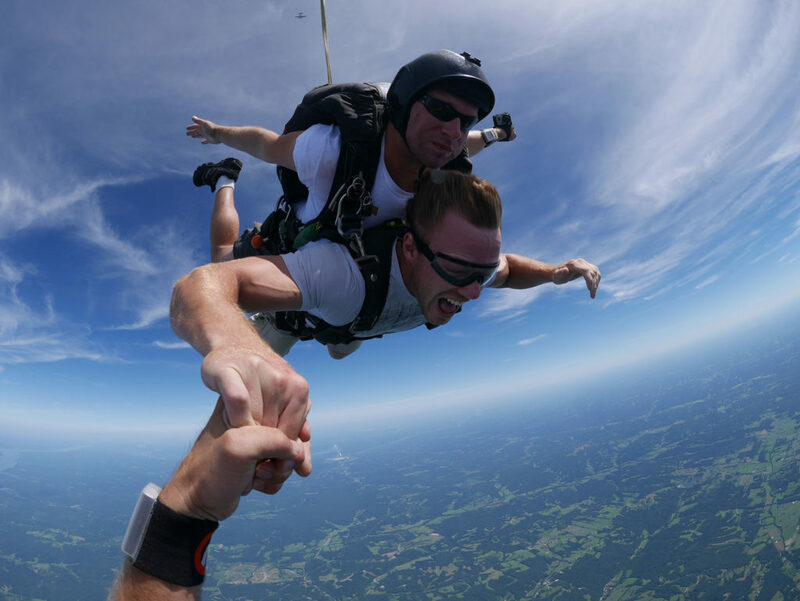 certified Master Parachute Rigger every 180 days. 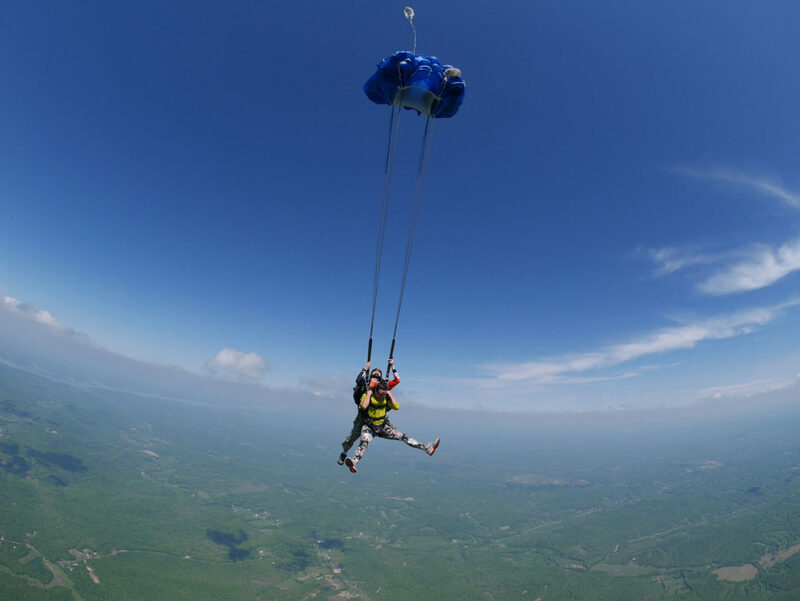 If by 1,900 feet no parachute has been activated, the automatic activation device will activate the reserve parachute. 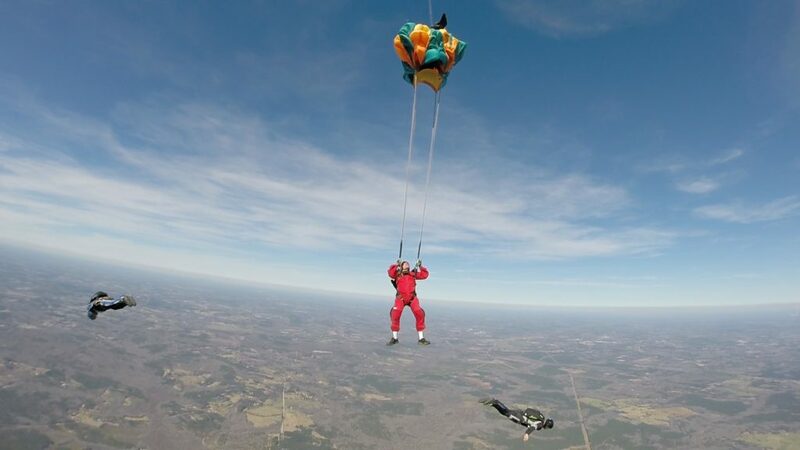 Statistically speaking, the failure rate of parachutes is very low. 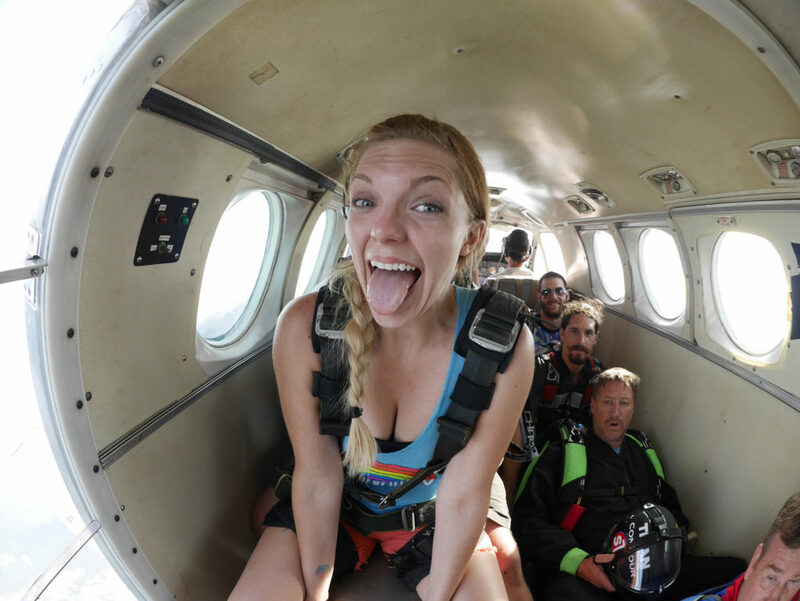 How common are skydiving injuries? 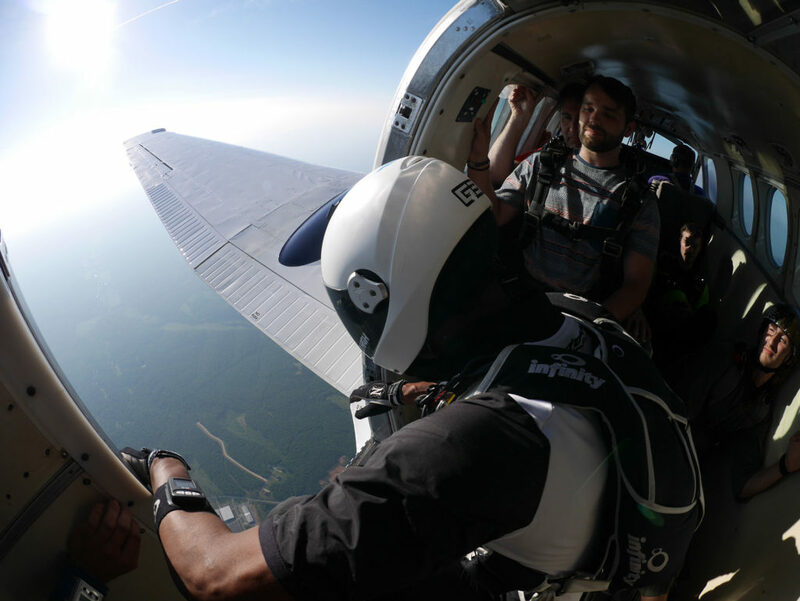 USPA members reported 729 injuries in 2014. 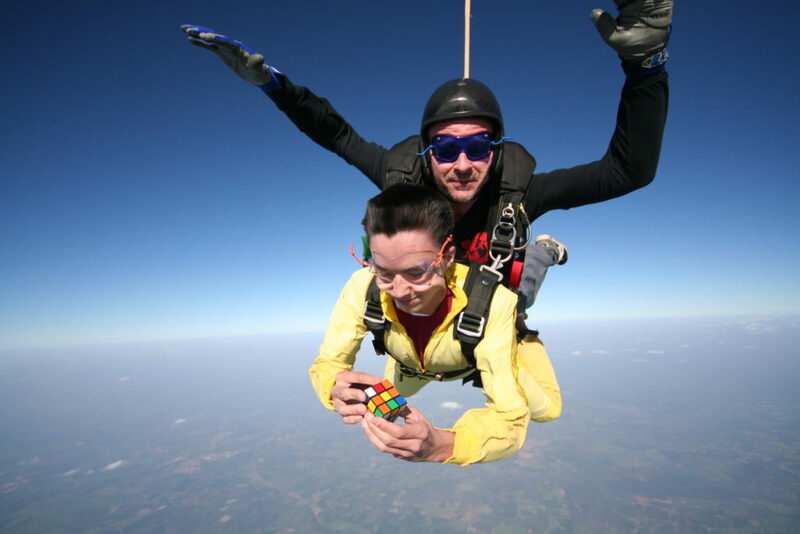 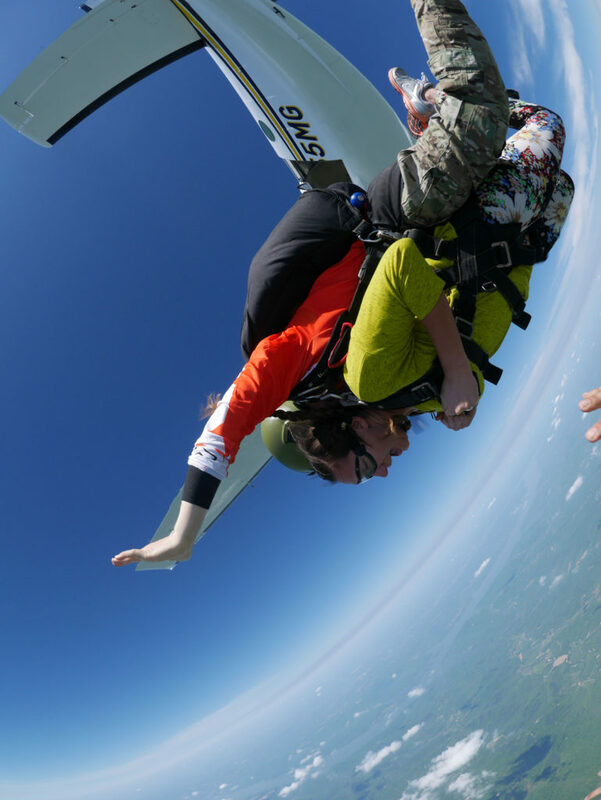 With a total of around 3.2 million skydives made that year, that's roughly 2.3 injuries per 10,000 skydives. 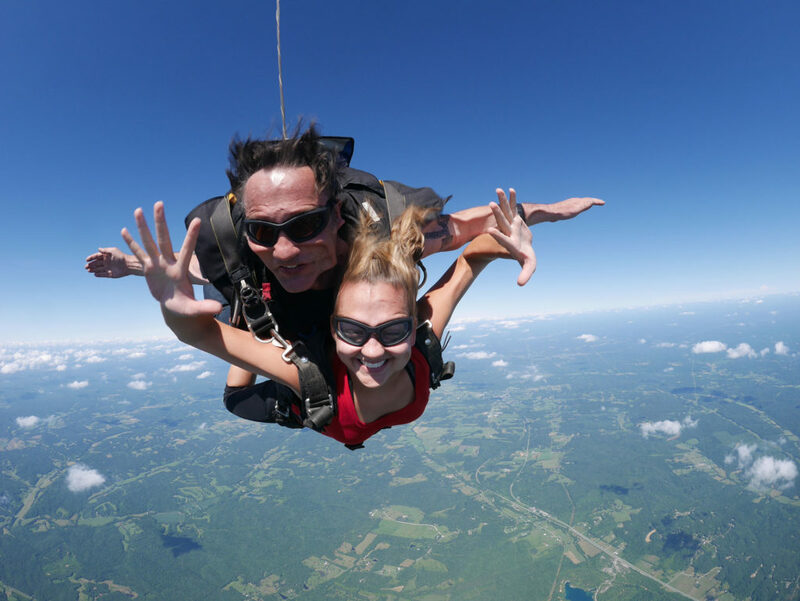 According to a 2017 study by the National Institutes of Health, over 60% of skydiving injuries are "expert" licensed skydivers and of those 70% had a perfectly functioning parachute. 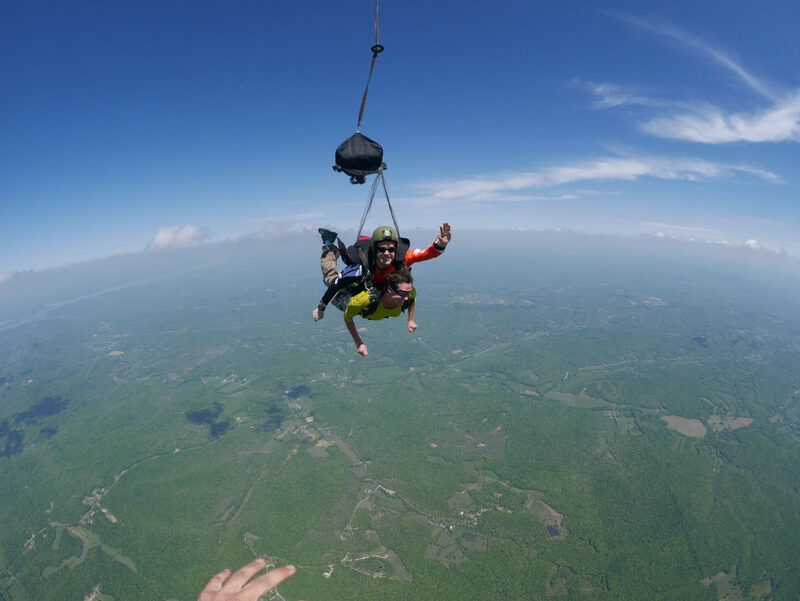 60% of the injuries were considered minor, such as cuts and bruises. 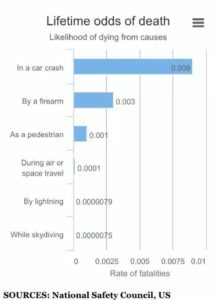 As shown in this graph, the National Safety Council did a study and you are more likely to be struck by lightning than be killed skydiving. 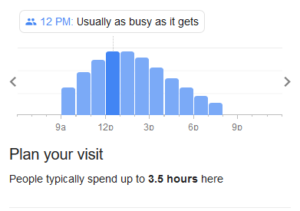 And much more likely just walking down the street. 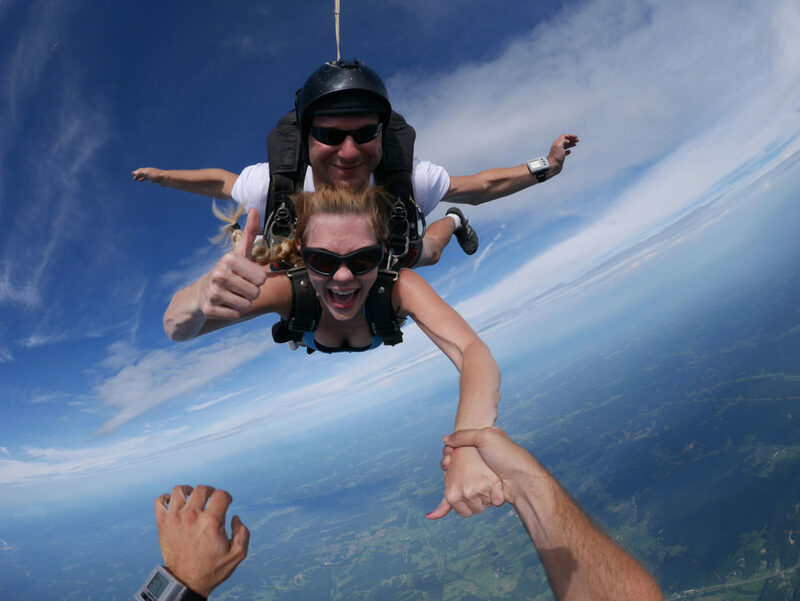 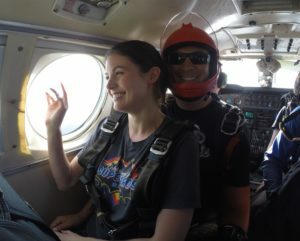 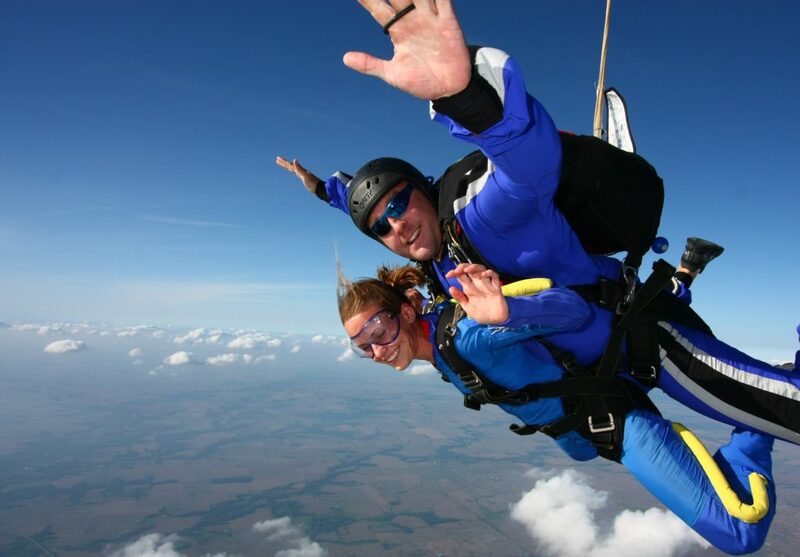 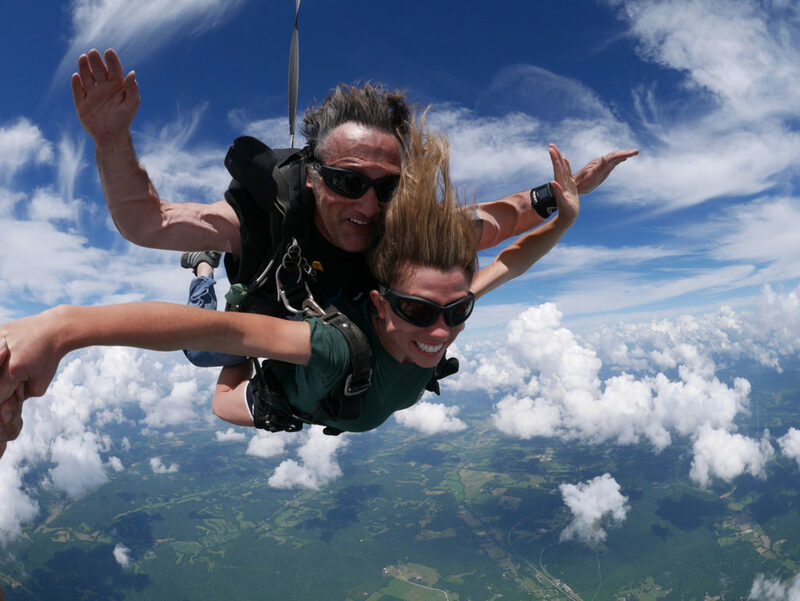 How much does tandem skydiving cost?